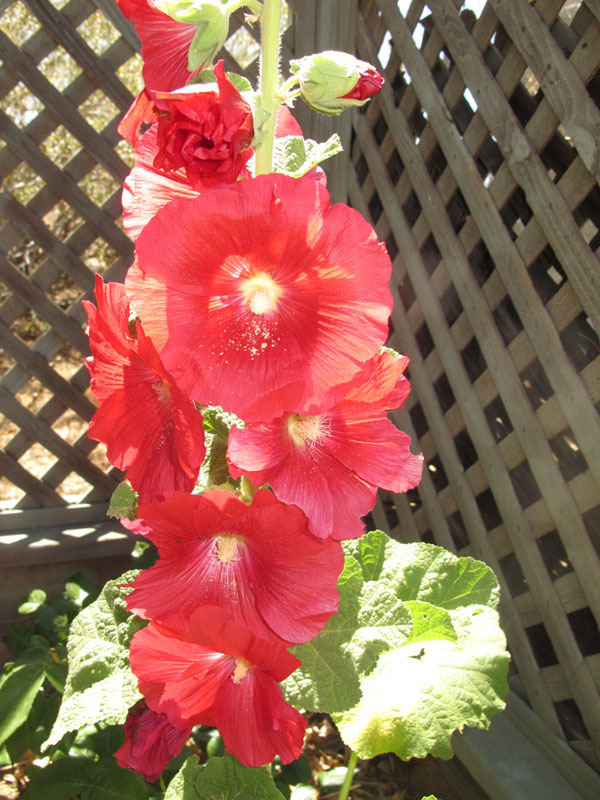 The beautiful hollyhock flower plant didn’t start out that way. It started as a scraggly 6-inch plant bought from a nursery. It was planted late in the Spring of last year, and it struggled to survive. But the gardener (me) struggled along with it, nurturing it along the way. This year it had rapid growth, shooting up to 4 feet, producing a beautiful array of blossoms. It also produced 3 new offshoots. A good reminder about life, dreams, aspirations. Things blossom in their season. If you don’t give up. Seeds of greatness are in you!